Have been wanting to make a Skelevex mask for a while now but hadn’t gotten started. Was planning on getting a large size one to template but I always miss when they’re on sale. They’re just so popular they always seem to be sold out. Finally decided to try freehanding one using whatever images I could find online. It needs more work but I’m happy with it for a first attempt. 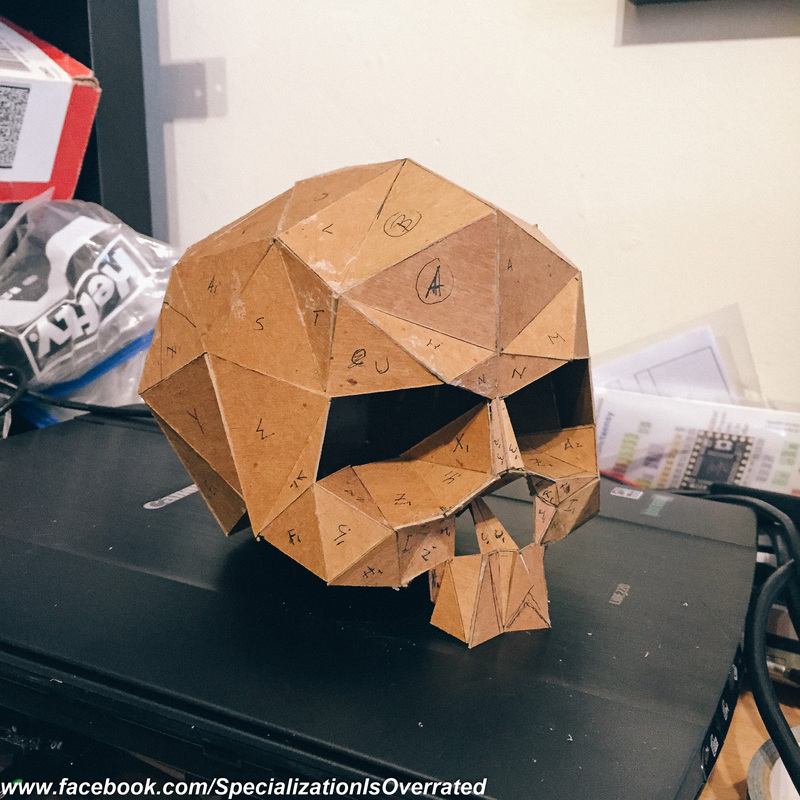 This entry was posted in Uncategorized and tagged chipboard, Diy, maker, mask, maskmaking, masks, skelevex, Specializationisoverrated on June 21, 2015 by ruthven1670.